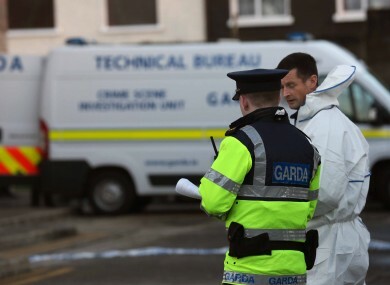 THE STATE PATHOLOGIST Dr. Marie Cassidy has conducted a post-mortem on the male body that was discovered in the Spring Mount complex in Finglas yesterday. The gardaí state that the examination results have not yet been released and investigations are continuing. Gardaí stated yesterday that the body was found in “suspicious circumstances” and two men were arrested yesterday in relation to the death. It is believed that a party may have taken place the night before in the complex on the Wellmount Road. Gardaí have appealed for information from anyone who may have been at the party or taxi drivers who may have collected passengers in the area. The two men, both aged in their 20s were arrested in Finglas this evening. They are detained under Section Four of the Criminal Justice Act at Finglas Garda Station. Email “Post-mortem carried out on body discovered in Finglas”. Feedback on “Post-mortem carried out on body discovered in Finglas”.